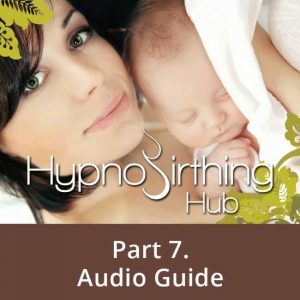 Hypnobirthing techniques let us tap into our body’s own natural anaesthesia for a more comfortable and often pain-free birth. By learning this advanced technique you will be able to call upon your innate natural pain relief and birth in total comfort. This track is one of the most sought-after natural pain management strategies that can help mothers who may have lengthy births, or might need the numbing sensation to get through birth without the need for an epidural. When you listen to this track, you will experience anaesthesia triggers, of which you will have complete control over. With practice, you can use this tool during childbirth to ensure a pain-free experience. Not only have mothers benefited from the natural anaesthesia for birthing track, their partners have also used this powerful pain management method to cure certain ailments such as headaches and backaches. After downloading this tool, we highly encourage you to practice regularly during your pregnancy to ensure successful pain relief. You owe yourself and your baby a pain-free birth without the need for drugs! Order your hypnobirthing MP3 and get 30% off this track today. If you have questions or concerns about downloading Hypnobirthing Hub’s Natural Anaesthesia for Birthing MP3, please don’t hesitate to send us an email.